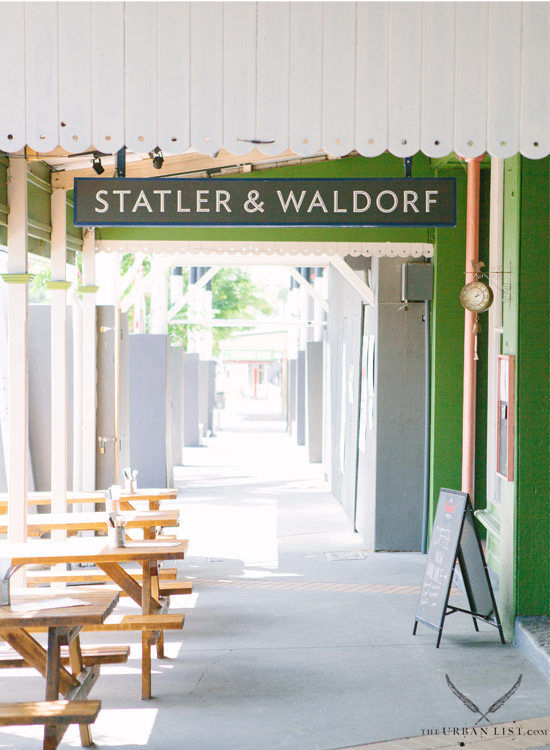 If they decided to have a night out at the new Brisbane bar named in their honour, grumpy geezers Statler and Waldorf would face a dilemma. The two old Muppets, who love nothing more than to complain about everything, would find it hard to fault this Caxton Street haunt, which manages to prove that keeping things simple happens to work very well. Bucking the trend to build every new bar or club around a concept ('It's 1930s Shanghai meets the Cantina bar from Star Wars! '), Statler and Waldorf is strikingly unpretentious. 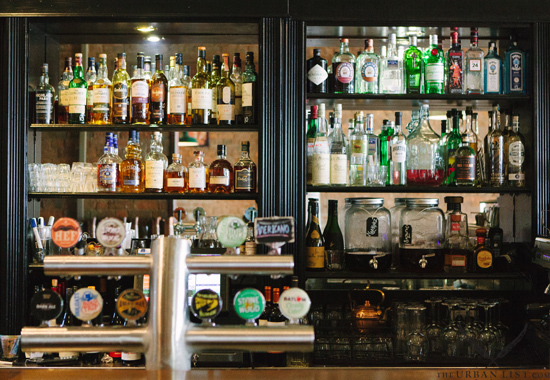 The men behind the latest addition to the maturing Petrie Terrace scene, Jay Lambert and Steve McDermott, have learnt from their years in the industry that the best way to keep the punters happy is to provide a limited amount of quality products; fresh food, craft beers, and choice wines and spirits, without trying to reinvent the wheel. With the soulless sports bar that once occupied the building now gone (and best forgotten), the new establishment is more akin to the gastronomy pubs which can be found all over the UK. 'The idea was just to make a place that we wanted to drink at,' says Lambert. Chef Andrew Tolley is taking care of the 'good food' part. The menu, which contains a handful of bar eats and a few mains, is not expansive, nor would you call it avant-garde, but all the ingredients are locally sourced and the meals are simply delicious. Don't get too attached to any one dish, though, as the plan is to refresh the lineup every few weeks. The unembellished decor reinforces the casual authenticity of the joint. With brick walls, a wooden bar, a few tables, and space out the back, it feels like.. well, it feels like a bar. A throbbing crowd of football fans who have just spewed out of the nearby Suncorp Stadium should be just as comfortable drinking here as the cool kids from Peasant, or Lefty's next door. XXXX Gold occupies tap space alongside fancier brews, and while the music is kept low enough that you hardly notice it, pop tunes can be heard intermingling with more alternative fare. Muppet Statler and Waldorf might actually be impressed by what a down-to-earth, enjoyable experience it all is.